I'm very much text based in vocal music, be it Lieder or opera. 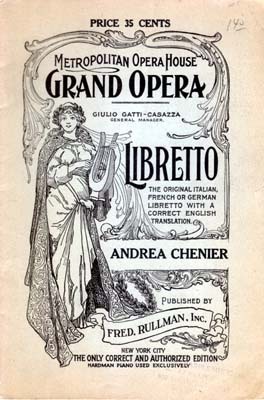 When I listen to an opera for the first time, I definitely like to read along, libretto in hand. But I rarely make time to do sit down and do so. So most of my opera experiences are live in the theatre, or watching DVDs. When I listen to opera on mu stereo, audio only, most of the time it's a collection of aria's, or an opera I know well enough so I don't have to wonder what's happening all the time.